Today is the last day of the 30 Days of Christmas. I hope you have enjoyed this as much as I have! Our card today uses the Christmas Reindeer stamp, colored with Copic Markers, and mounted over a silver glitter background. The center black piece uses a technique from the Emboss or Die CD. Today is the very last day to take advantage of the 15% discount on all stamps by using the code XMAS15. Don't miss out! Go to www.stampcamp.com to order your stamps. Welcome to the 28th day of the 30 Days of Christmas! It's hard to believe that 4 weeks have already gone by. I have really enjoyed this -- I hope you all have too! Todays I am happy to pair a non-Christmas stamp set with a Christmas sentiment to create my card. 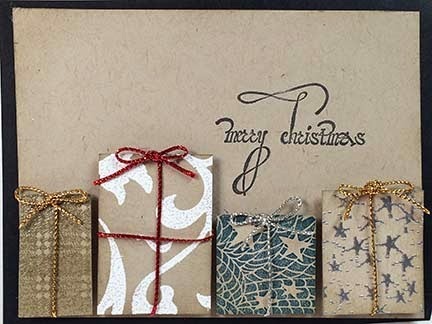 The presents were created using the Whimsy Squared Stamp Set (#SS025). 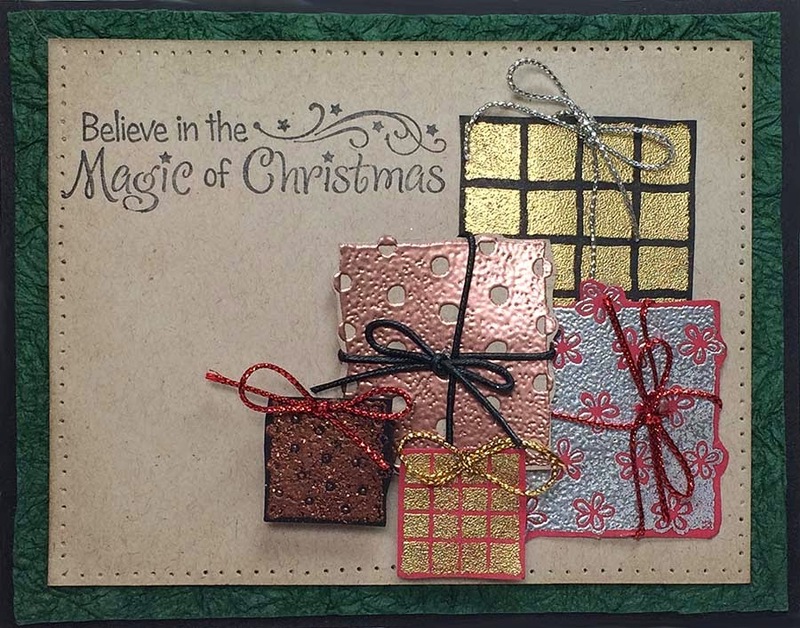 I embossed each of the squares with different metallic embossing powders, and popped them on the background. Both the Magic of Christmas Sentiment (#SD428) and the Whimsy Squared set can still be purchased for 15% off by using XMAS15 at checkout, until Wednesday, December 10. 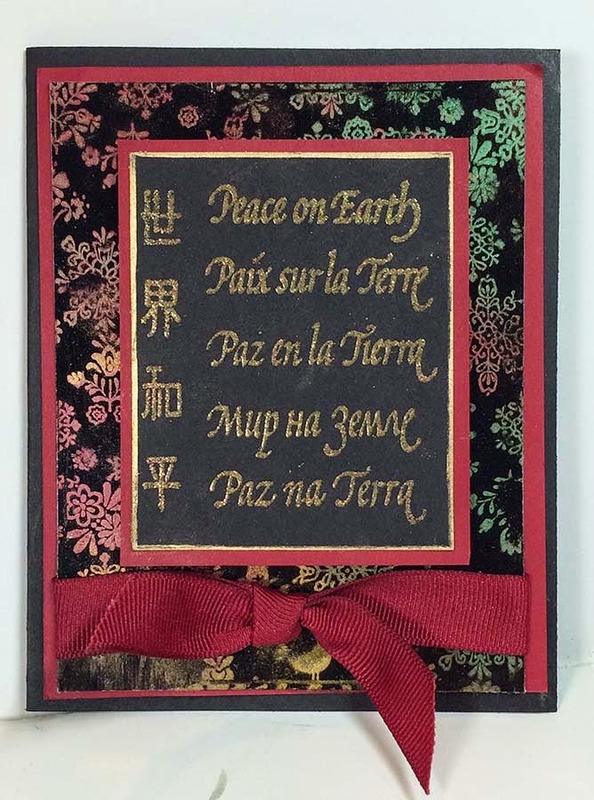 Today is Day 26 of the 30 Days of Christmas, and I am thrilled to share this beautiful card made by Karen McAlpine. 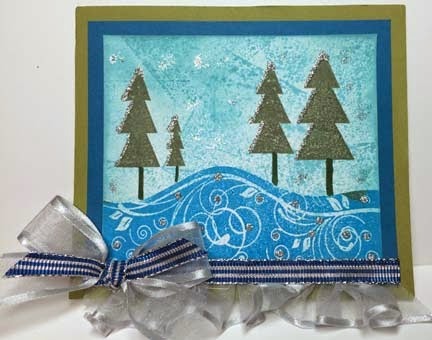 Karen made this gorgeous card using the Whimsical Winter Stamp (S596, $9.95) for display in the TJ trade show booth, but it is just too pretty not to share here! Make sure you visit her blog to see ALL of the cards...you will be happy you did. Total EYE CANDY! Only 5 more days to use your discount XMAS15 at checkout for 15% your entire stamp order. Today I am using a variety of stamps to create my own wrapping paper -- on these little presents. I used the Plaid (#S421), Big Swirls (#S427), Star Net (#S093) and Star Power (#S147) to create my packages. 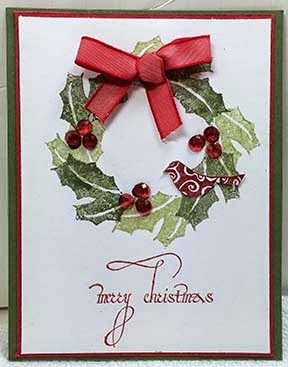 I stamped the Merry Christmas Stamp from the NEW Holidays 2 Flourish Sentiments above the gifts (#SS043). Each of the Gifts are popped up and tied with a bow. It a rather dimensional card, but the picture does not do it justice! 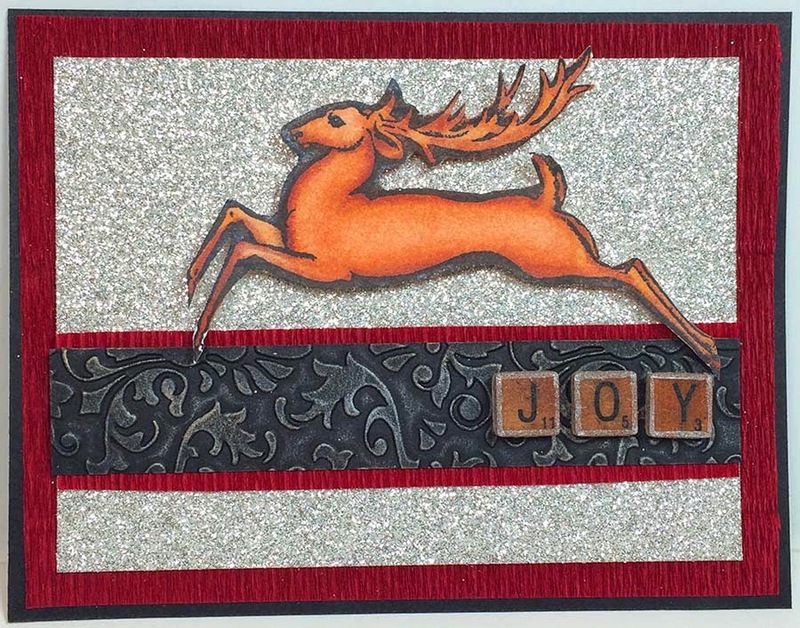 Today I am thrilled to have Judy Jackson as a Guest Designer for the 30 Days of Christmas. 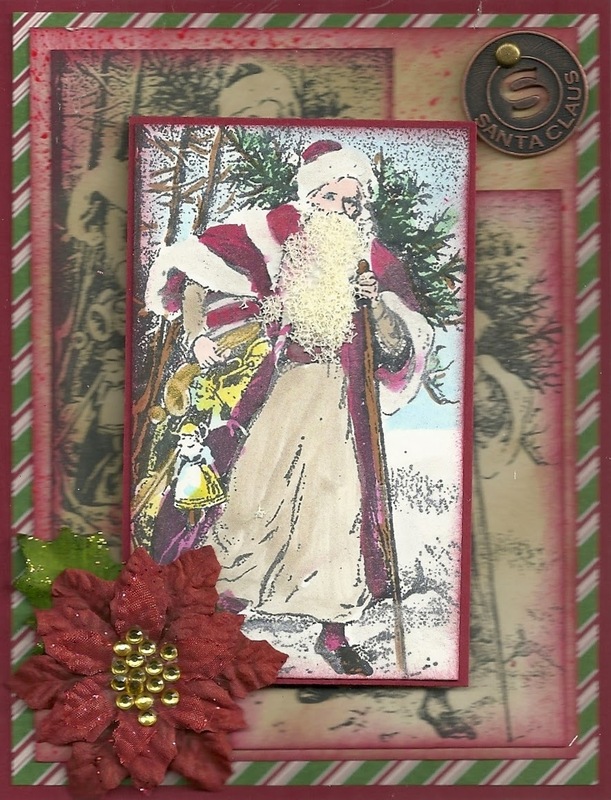 Judy's card uses the Father Christmas Stamp, and can be found HERE: techniquejunkies.blogspot.com. Judy gives a FULL description about the making of this card on the blog. I urge you to take a look! Of course, this uses the Father Christmas #SD311 stamp. You can find this stamp on this page of Technique Junkie Stamps website http://www.stampcamp.com/christmas.html . Don't forget to use the coupon code XMAS15 to receive 15% off the entire site -- but hurry! This sale will only last until Sunday night! And yes, you can use the 15% discount on these new sets by using the XMAS15 coupon code at checkout at the www.stampcamp.com website. 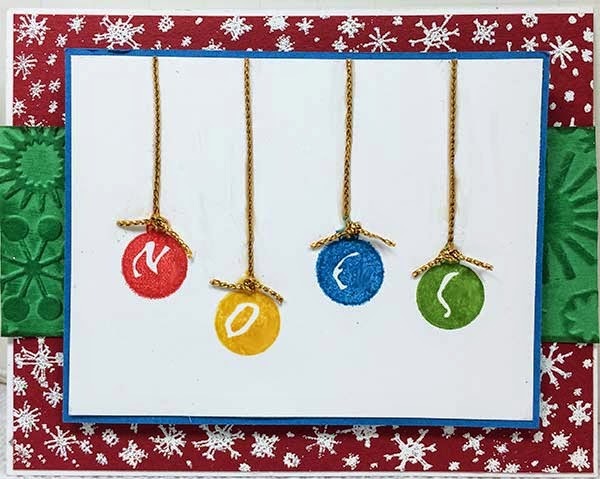 The card below uses one of those sentiments - Merry Christmas - from the Holidays 2 Flourish Sentiments Set (#SS043). I created the wreath using the holly from the Christmas Stencils set (#S282) , and added a bird from the Little Birds set (#SS039b), a ribbon, and some gems to complete my card. I hope you love these sentiments as much as I do -- Happy Cyber Monday!